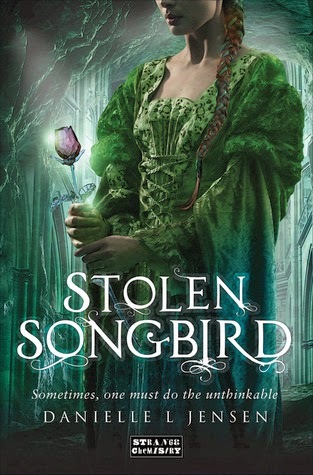 What do you think about Stolen Songbird...and trolls? Be sure to share your thoughts & link up below! I am liking the way this one sounds! Nice pick!! I am kinda mad at myself for not asking for an ARC because everyone is praising this novel. Great pick! I actually have this one loaded up on my kindle, just ready and waiting for me to start it. I've heard so many good things about it too, so I'm really excited for it. I hope you get to read it soon as well. Merp I still need to read Graceling and Seraphina as well... I do even own Graceling. But I have been doing a bit better at whittling down my older book tbr list instead of focusing so much on new releases so hopefully I could get to them soon. We could even do a buddy read if you're interested! Oh and THIS one! I've read quite a few really positive reviews so I'm pumped. I'm a bit unsure how this troll as a love interest thing will pan out, but I'm definitely curious.